The person with an empathic imagination and a healthy reflective mind . . .
We can recognize commonalities across cultures and feel an essential connection not only to our closest family, friends and community, but to humanity as a whole, and to other sentient creatures . . .
Can ask an open-ended question . . . But, without empathic imagination . . .
A CEO pollutes a waterway ten thousand miles away. A corporation fights mandated reparation for the death of 1,000s. The owner of a mine lobbies to deregulate safety protocols even after a mining disaster buries workers alive. A politician authorizes the release of defoliant to destroy the agriculture of a far away land in order to stymie a small group of drug traffickers. A military leader cluster bombs a neighborhood or napalms a village filled with children and civilians to destroy the hide-out of one insurgent. An immigration official indefinitely detains a traumatized refugee who seeks asylum after fleeing the worst torture, for purely technical reasons. 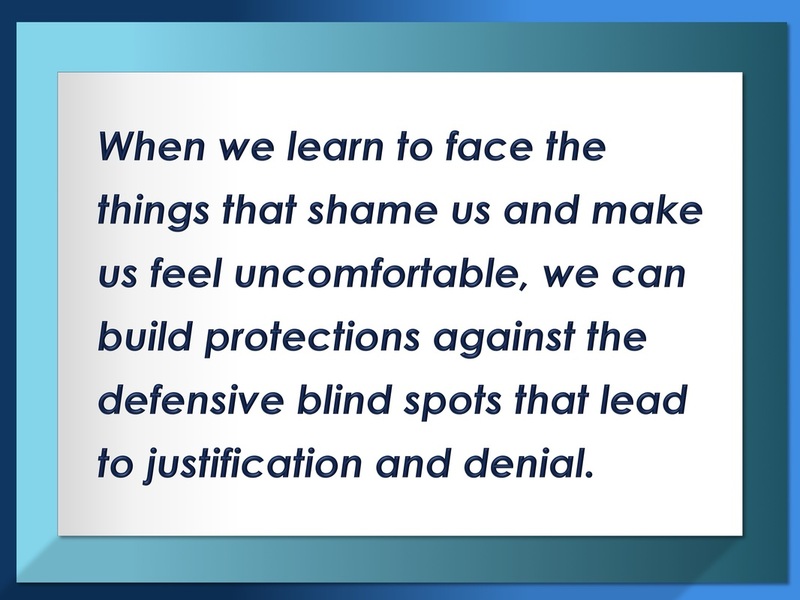 Dehumanize an entire group simply for looking, dressing, or speaking differently. Blame the victim: Fathers stone or kill a raped daughter in the name of "honor"
Promote authoritarian policies that strip dignity from the marginalized and disenfranchised. Condone the use of taser, pepper spray, or mace on innocent people acting on their Constitutional civil rights of peaceable assembly and civil disobedience. 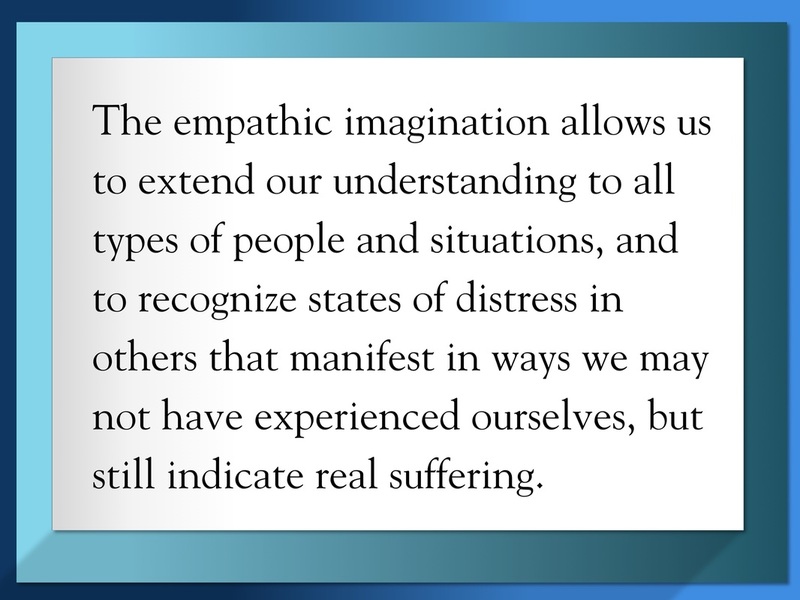 Without Empathic Imagination, people create extreme belief systems in the name of rationality and morality.